Finding the best dentist in Washougal WA is easy. All you have to do is see which dentist is the most popular choice among caring parents. You need the services of Dr. Shebani and her competent team of trained professionals. Using specially designed equipment, your child will receive the best and latest treatments, resources and care to prevent, detect and treat all of your child’s dental and oral health requirements through various developmental stages. From prevention and education to restoring and correcting teeth related problems, pediatric dentist Dr. Shebani is the leading choice for meeting all your child’s oral and dental needs. 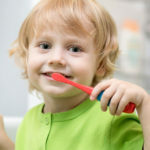 Taking care of your child’s dental and oral healthcare is an important responsibility. To lay the foundations of healthy teeth from the start, securing the services of the best dentist in Washougal WA is a must. With the right sensitivity and concern to manage your child’s dental needs, Dr Shebani and her team offer unparalleled medical expertise. Trained to handle any medical exigency, Dr. Shebani is an experienced dentist with a focus on helping your child meets the challenges like cavities, gum diseases and developmental issues. The personnel at her clinic are competent and trained to handle any medical emergency. For sale, secure dental care, trust Dr. Shebani and her team of trained professionals. Teaching kids about better oral health and educating them to brush and floss effectively is an important responsibility of the dentist too and Dr. Shebani has a well deserved reputation for excellence, when it comes to not just therapeutic, but preventative and educative care as well. She is clearly the best dentist in Washougal WA for all your child’s medical requirements.